Ever wonder why you feel fatigue after flights that are more than an hour or two in duration? You know... that done in feeling like you just did a lot of work instead of sitting there on the plane for a few hours. That's right... we're not talking jet lag here, though that fat-headed feeling and fatigue are both definitely part of jet lag. You may feel fatigue after a long north-south flight where there is little or no change in time zones. You may even feel that way after a daytime cross country flight with only two or three hours of time change. We've experienced this when we flew from North America to South America. 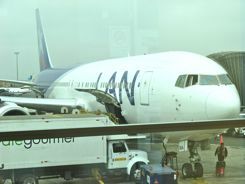 We definitely felt fatigue after flights from California to Peru... 9 or 10 hours on the plane from Los Angeles to Lima as I recall, though there was only a three hour time difference for us. One of the main culprits is the cabin air in airplanes. Commercial aircraft are pressurized... You'd be uncomfortable if they weren't, but they are only pressurized to a comfortable equivalent altitude. What does THAT mean? That means when you're flying at 35,000 ft (10,670 meters), the cabin will be pressurized to about the equivalent of 8,000 feet (2440 Meters)... so it will feel like you are in the mountains... high in the mountains. If you've been hiking or skiing at those altitudes, you know that the air is thinner, and you easily get out of breath. There is less oxygen in each breath you take because of the lower air pressure, and that lower oxygen level tends to make your brain fuzzy. When you go to the mountains above 8,000 feet, some people might even experience altitude sickness. For most air travelers, you don't need to worry about that, but it that high altitude effect will leave you feeling that familiar fatigue after flights. If you're into a little adventure travel, you may feel a little fatigue DURING flights! 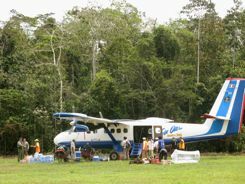 We found that out when we boarded a flight in the Peruvian Amazon to return to Cuzco. Now Cuzco city is at 10,800 feet or so.... that alone may give you a headache... but our flight on this Twin Otter took us up to 16,000 feet with no pressurization and no oxygen. Most of our fellow passengers nodded off during that flight... and talk about your head feeling fat and fuzzy!!! The relative humidity in airplanes is similar to desert air. This will make you dehydrated whether you feel thirsty or not.... and dehydration adds to fatigue after flights. Combine the two.... less oxygen per breath and dry air, and no wonder you feel done in at the end of a flight. How About Fatigue After Flights AND Jet Lag! Talk about a double whammy! 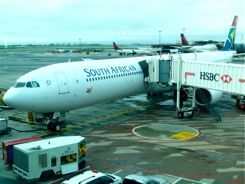 On a recent trip to South Africa, we traveled across 10 time zones on three flights. Five hours from the west coast of the U.S. to JFK in New York. Fifteen and a half hours from New York to Johannesburg. And another hour from Johannesburg to Durban. Add in the connection times in New York and Johannesburg, and I'll tell you, we were definitely feeling a little less than optimal when we arrived. You really want to schedule a little time to rest and recover after a marathon flight like that. 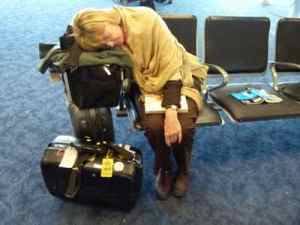 So what can you do to help with fatigue after flights? Here are some tips that can help make you feel better when you walk off the plane. Try to stay hydrated... Drink plenty of water. Yes, with planes as crowded as they are these days, getting to the rest rooms may be a hassle, but you should be getting up and walking around anyway, especially on longer flights. Try to avoid alcohol and caffeine... both tend to make you more dehydrated than just the dry cabin air alone. On those long international flights where they still offer you wine with dinner... we go for it... And I'll go for a cup of coffee at the last meal service before arrival... but we try to make up for it with more water during the flight... we'll repeat the point above... stay hydrated. Try to eat balanced meals and avoid high fat... a tricky assignment with the uncertain meal availability in airports and on planes these days, but if you try, you can usually find a healthy meal or snack. Do exercises in your seat... Stretch your legs. Do circles with your feet. Check the back pages of those airline magazines in the seat back... almost every airline we've flown on has a page with exercises to do in your seat to keep the blood moving and your muscles from cramping up. Some even have a little video program that pops up and prompts you to do the exercises. Try to sit up straight and take deep breaths every so often. Those deep breaths will increase the oxygen intake. To counteract that dry aircraft cabin air... I don't know if anyone else will tell you this, but I get a damp paper towel and breath through that. I grab one every time I get up or go to the restroom... and remember, you're drinking lots of water, so you'll be getting up often like I do! That might not make you feel less fatigue but at least, your nasal passages won't feel so dried out. And those frequent short walks can help with your circulation too... and make it less likely that you'll get economy class syndrome or deep vein thrombosis. And with three flights with a combined flying time of 23 hours, we definitely needed to get over the fatigue after flights. We followed our own advice on that trip. If you do some of the things we mentioned, good. Doing all of them is even better. You'll probably still feel some fatigue after flights, but at least you won't feel quite so done in. Do like we do... Factor in a little down time... whether it's a business trip or a holiday, having some time to rest once you arrive will make you feel better. "I tried Pepto-Bismol on a recent trip, and it really worked. Now I want to read all of your travel tips." "Thanks again for the wonderful information, especially as regards motion sickness." "I keep coming back to your web site. I love that I can travel all over the world with you! 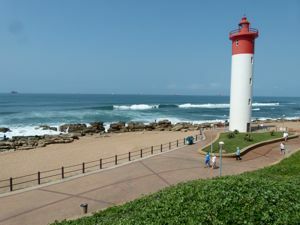 I recommended your site to a friend of mine who has been to many of the same places you have."